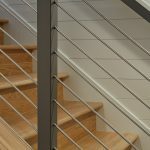 Stylish yet subtle, these quarter-inch rods elegantly connect the posts, creating a minimal look that transitions gently upwards. 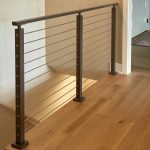 Posts and handrail are covered in a sleek black powder coat that protects while adding sophistication. 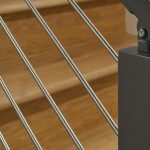 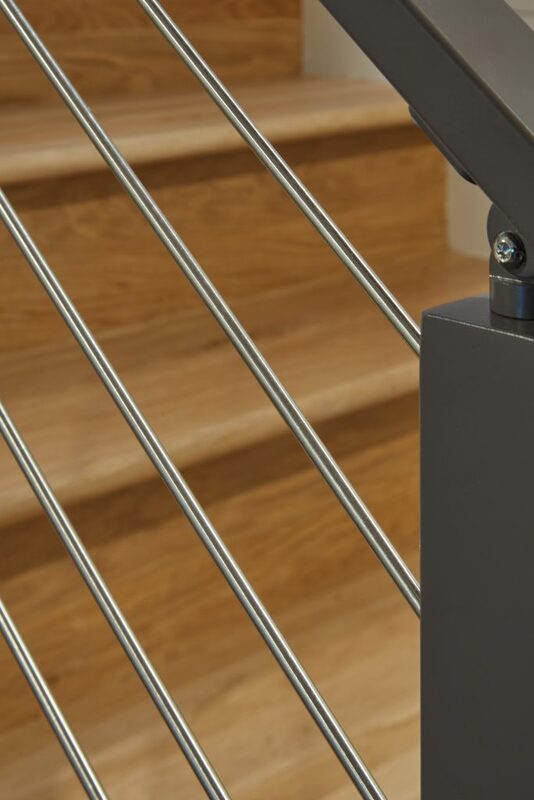 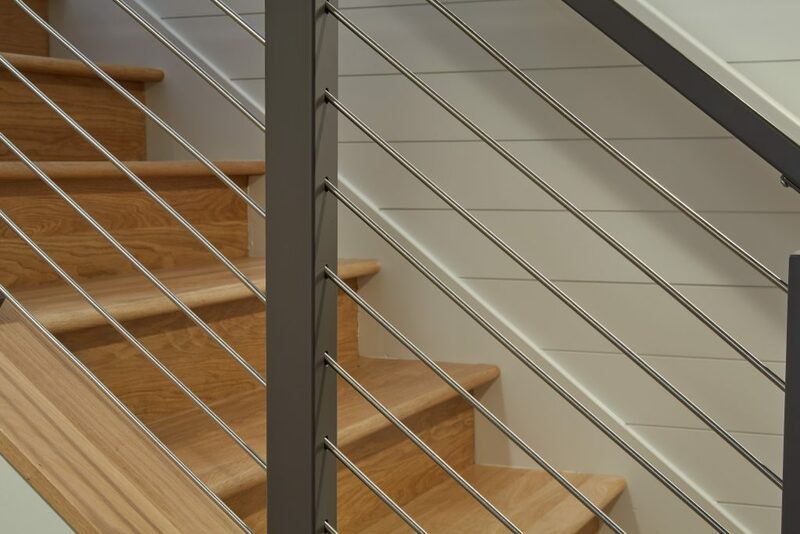 One of our most popular finishes, black powder coat is a great way to preserve the beauty of cable railing posts. 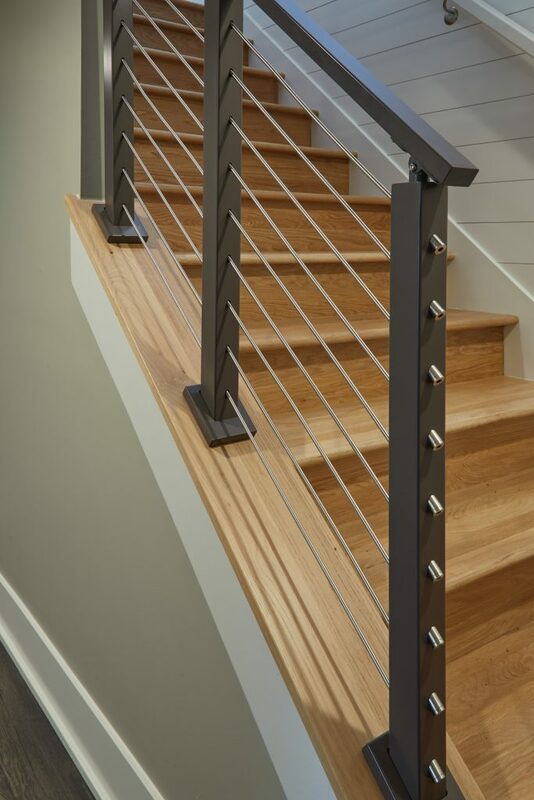 Even better, rod railing never sags or loses its strength. 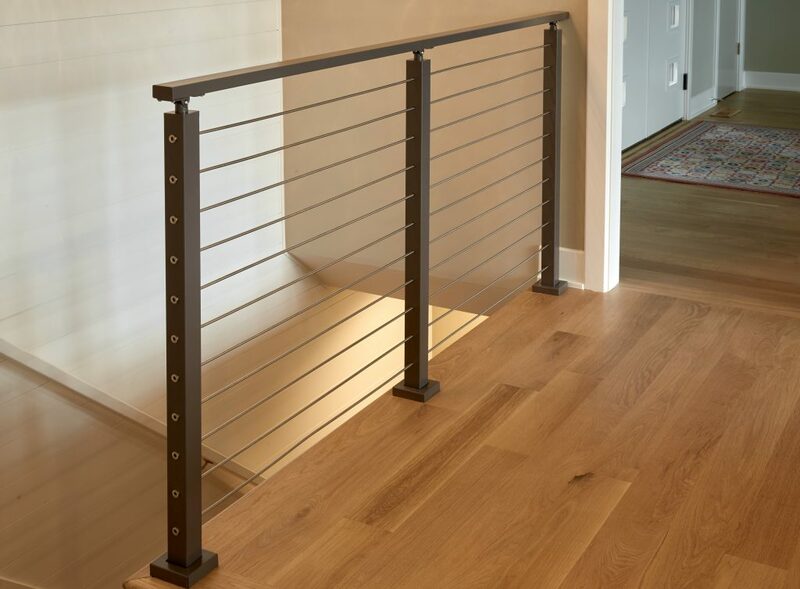 Modern functionality meets traditional craftsmanship in these stable rods and posts, culminating in a clean, finished aesthetic.